Choker necklaces are once again hip, a jewelery trend that you can not miss, and certainly with the summer approaching and the festival season starting, choker necklaces match perfectly with your festival look. The choker necklace from now is narrow and made with black string with a small pendant. Chokers are easy to wear, you do not feel them and they are practical because you can never get stuck with them. 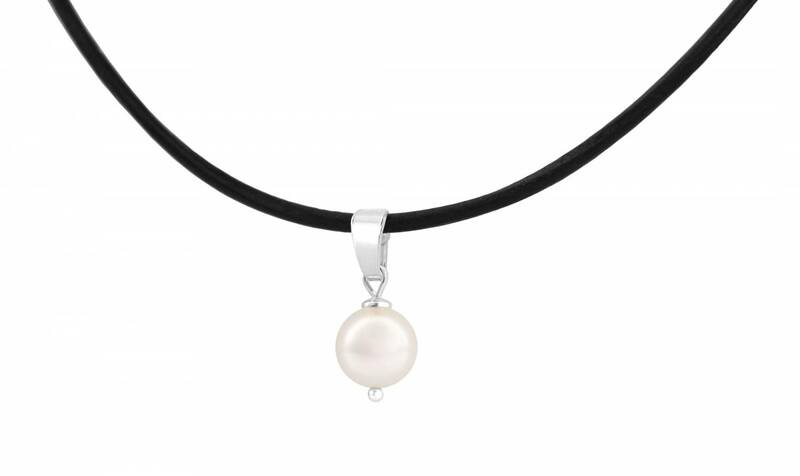 A beautiful black leather choker necklace with a small pendant; for example, a heart or a small pearl fits both a relaxed and a more styled look. Browse through the ARLIZI choker necklaces to find your favourite. The chokers are made of sturdy leather and finished with silver parts, and if you like gold plated. So you have a luxurious and unique choker necklace of good quality that you will enjoy for a long time. ARLIZI sends your jewelry in a luxury jewelry box prettily gift wrapped, a present for yourself or someone else!